The designation by then-President Obama ignored local opposition, Gov. 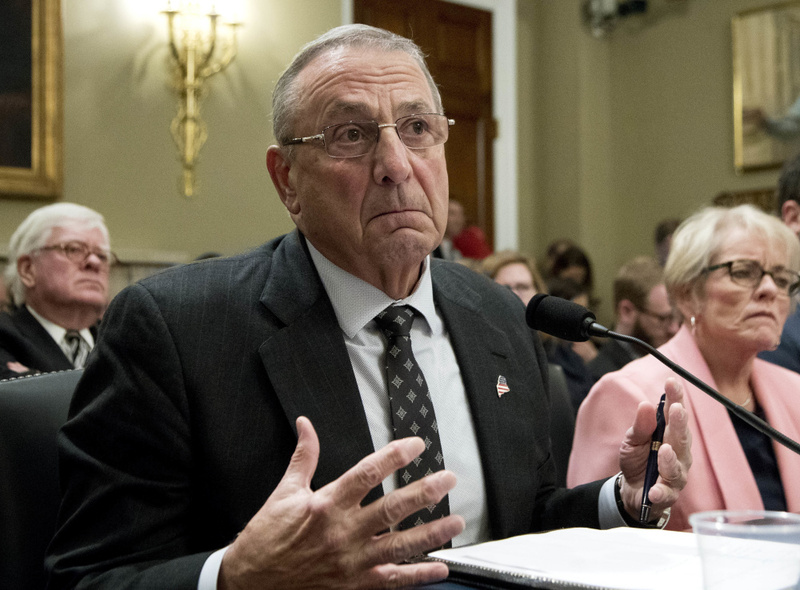 LePage tells a congressional panel, while Roxanne Quimby's son touts reports of positive effects in the region. Maine’s Katahdin Woods and Waters National Monument took center stage in the political debate over national monuments Tuesday in Washington, where Gov. Paul LePage and the monument’s chief advocate offered dueling testimony on its creation and economic potential. Testifying before a congressional subcommittee, LePage referred to the 87,500-acre monument as “cutover” forest lands unlikely to economically benefit the region “in my lifetime.” He suggested “uninspired” monument visitors could overwhelm neighboring Baxter State Park, and accused the National Park Service and former President Barack Obama of ignoring local opposition – including three nonbinding municipal votes – when designating the monument last August. Is Katahdin Woods and Waters National Monument on ‘the list’? 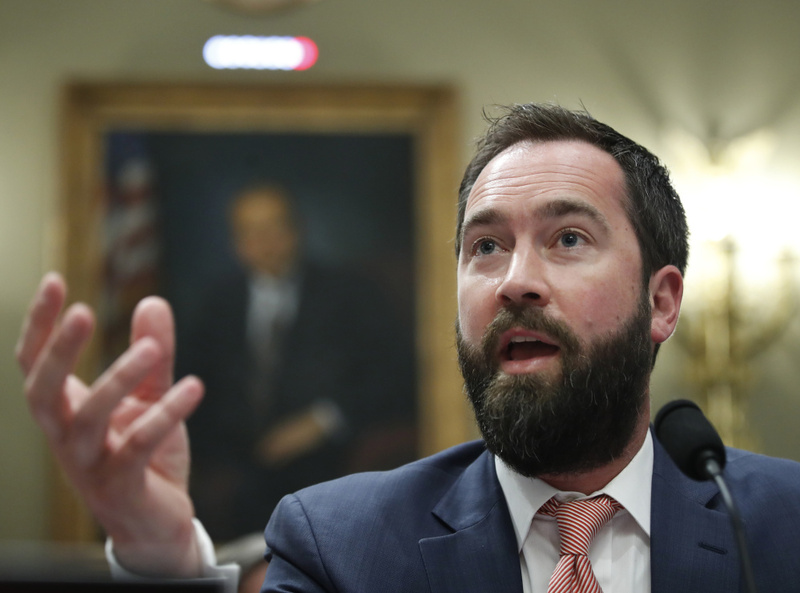 But Lucas St. Clair told the subcommittee that his family engaged in extensive public outreach, holding meetings throughout the Katahdin region over several years and adjusting the plan before donating the land to the park service. St. Clair also noted that some Katahdin-area businesses already are seeing positive impacts. LePage and St. Clair were among four witnesses testifying Tuesday during a partisan congressional hearing on presidential authority to create national monuments. Republicans in Congress – most notably the chairman of the House Natural Resources Committee, Rep. Rob Bishop of Utah – want to rein in presidents’ ability to unilaterally create national monuments. Additionally, President Trump has ordered a review of dozens of monument designations nationwide – an action that could precede the first-ever attempt by one president to rescind another’s monument designation. Obama created Katahdin Woods and Waters last August after Roxanne Quimby’s nonprofit, Elliotsville Plantation, donated the land and pledged a $40 million endowment for the project. Months earlier, more than 1,500 people turned out for public hearings in East Millinocket and Orono to share their views on the monument – a majority of those attending supported it – with then-National Park Service Director Jonathan Jarvis. Yet eight months after the designation, the monument remains controversial. And LePage, who formerly worked in the forest products industry, is hoping Trump or Congress will undo it. The Antiquities Act of 1906 allows presidents to designate national monuments through executive proclamations in order to quickly protect “historic landmarks, historic and prehistoric structures, and other objects of historic or scientific interest” on federally owned land. National parks, by comparison, can only be created by Congress. LePage and St. Clair, who is Quimby’s son, offered starkly different versions of the events leading up to the Katahdin Woods and Waters designation and what has happened since. At one point, Democratic Rep. Jared Huffman of California pressed LePage on whether he saw “any economic benefit” to the Katahdin-region monument. However, multiple reports out of the region suggest that some businesses are already experiencing a positive bump. Numerous real estate professionals directly attributed a spike in inquiries and sales to Katahdin Woods and Waters, while some business owners have reported additional foot traffic through their retail stores since the monument opened in August. Also, the director of the Katahdin Area Chamber of Commerce, Gail Fanjoy, traveled to Washington on Tuesday to show support for the monument. There is currently a robust debate in Washington about whether Trump could legally rescind a monument designation. Conservation organizations and some outdoor retailers are promising to challenge any attempt in court, arguing that only Congress has such authority. Tuesday’s subcommittee hearing also illustrated the partisan divide over the monument issue, as Republicans repeatedly raised questions of “executive overreach” and Democrats largely focused on the economic benefits of monuments. LePage did not reply directly to the political jab at his controversial past statement, saying only that “people die every day” in Maine because of the drug problem. But the governor said the National Park Service’s lack of timber management at Katahdin Woods and Waters “will make it vulnerable to catastrophic fires.” He said he is concerned about a repeat of the 1947 fire that burned more than 10,000 acres in Acadia National Park and destroyed nearly 200 houses in Bar Harbor. LePage also noted that Acadia has a $68 million maintenance backlog. In reality, the vast majority of acreage within Baxter State Park is off-limits to timber harvesting under the strict deeds of trust left by the late Gov. Percival P. Baxter. Timber management is allowed only in the northernmost 30,000 acres of the 209,000-acre wilderness park. The full hearing can be viewed online.